Following the reunion and the yard I debuted a romantic velvet look to L’Aiglon Mansion. 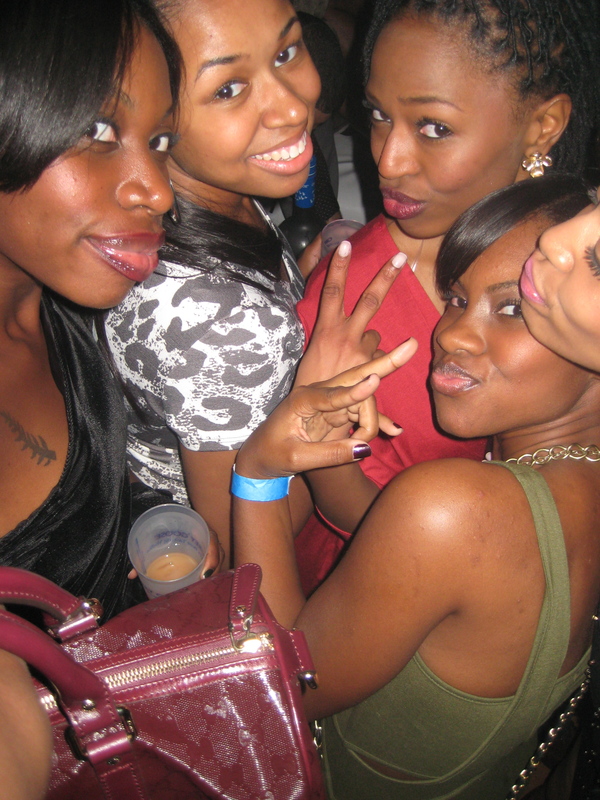 With the stresses of law school, I desperately missed my old life as a DC party-girl. 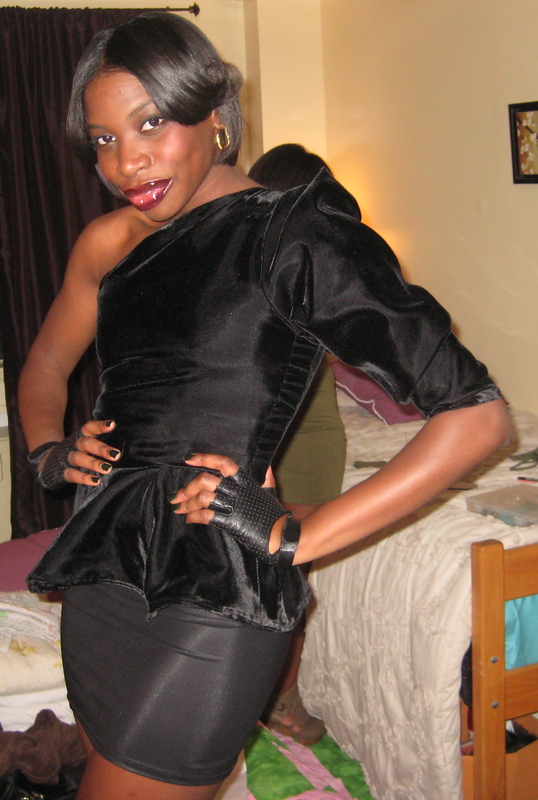 So in preparation for my reintroduction to DC nightlife I created this head-turning velvet look. This was my first time working with velvet and there is nothing easy about it! But the end result was well worth it. 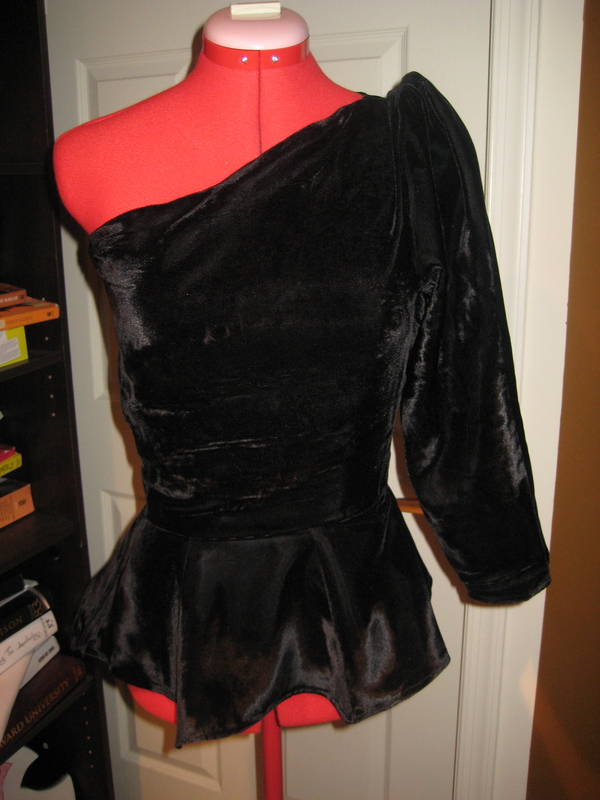 This velvet one shoulder look has 3/4 length sleeve and a peplum skirt. I paired it with a faux leather skirt, leather fingerless gloves, and velvet pumps. Like my look, my night was flawless! The Mansion was packed with all the people I love, J.Cole performed, and the drinks were flowing! A Beautiful Night to Live my Beautiful Life!